While it’s been some 20 years since the “trial of the century,” last year’s Oscar-winning ESPN documentary and O.J.’s recent grant of parole have put the disgraced football star back in the zeitgeist. 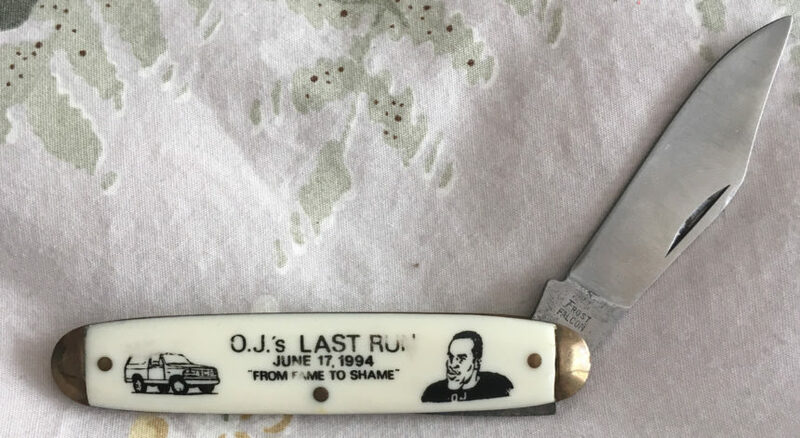 Now, the O.J. Simpson Museum, a five-day pop-up exhibition coming to the Coagula Curatorial art space in LA’s Chinatown is set to run from August 18 to 22. The temporary gallery show is not intended to glorify the alleged double-murderer. Coagula Curatorial owner Mat Gleason says it’s more of a statement on the morbid fan culture around O.J. Simpson’s murder trial. “There are people to this day that say O.J. is innocent — not me — but it’s an obsession among Americans. All this stuff, this is the art of the people, the visual language of the common man,” he notes. “It's so of its time it's mind boggling,” Papagan says. Indeed, the five-day exhibit will showcase an array of artifacts and murderabilia related to the trial, which O.J. was acquitted of. 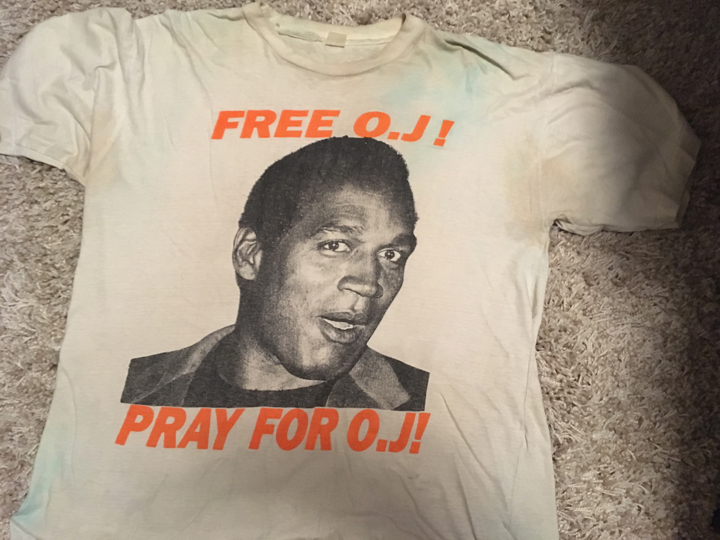 More than 300 Simpson artifacts will come out of storage, including a collection of bootleg trial t-shirts, board games based on the case and even an O.J. 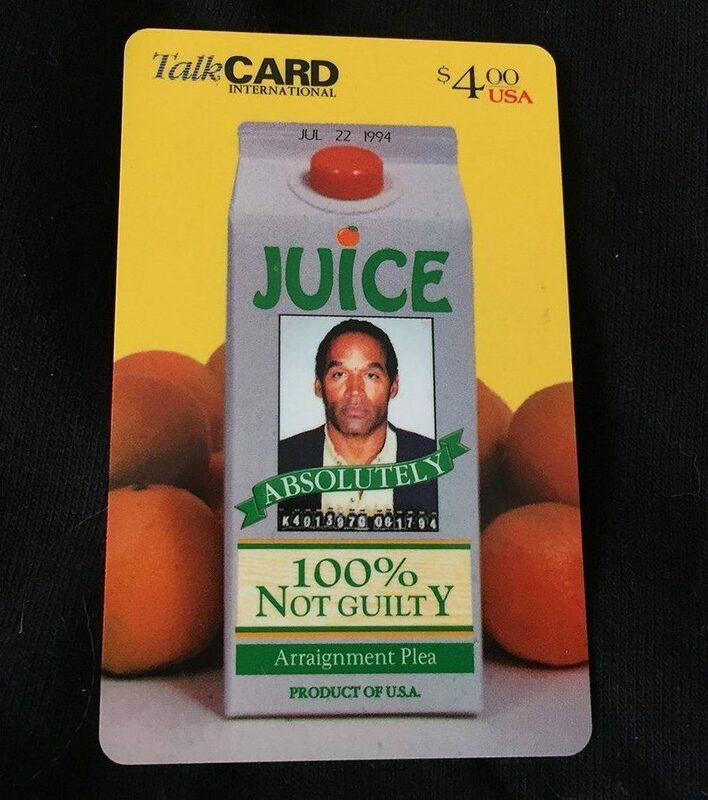 phone card featuring a carton of orange juice that reads ‘100 percent not guilty’. “It’s so of its time it’s mind boggling,” Papagan says. Contemporary paintings, drawings and sculptures inspired by the former football star will also be on view. A white Ford Bronco will be parked outside the gallery. “If you put this show in a time capsule and 20 years from now, 100 years from now, it would give people a more thorough understanding surrounding the trial of the century. The frenzy. Why did this grasp the American imagination? The answer is in these objects,” says Gleason.